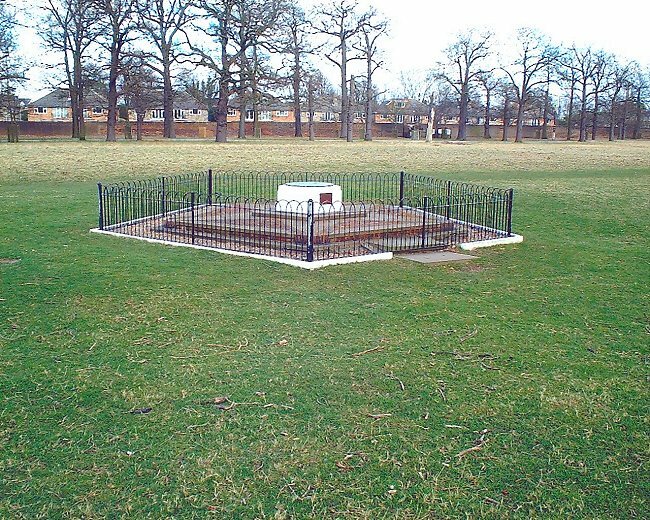 One of the two SHAEF memorials on the eastern side of Bushy Park. Looking west. 4th March 2008. Today Bushy Park is 1100 acres of tranquil haven. But the situation was rather different in 1944 when General Dwight D Eisenhower decided to move his headquarters out of London to plan for D-Day and the invasion of Europe. The enormous build up of materials and men in Britain, and their deployment on D-Day, was known as Operation Overlord. 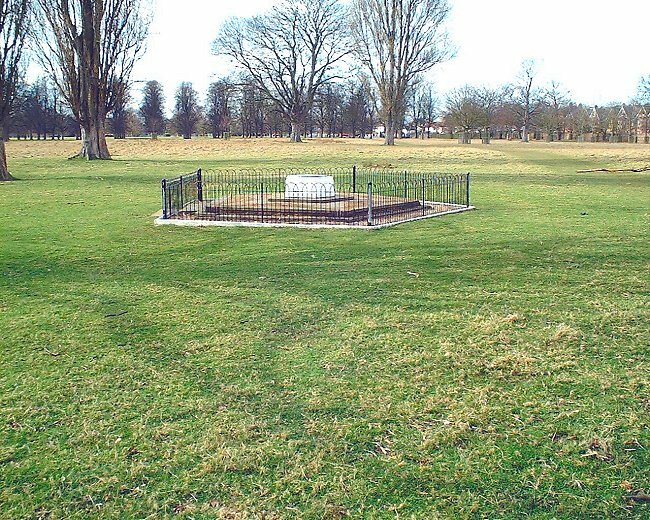 The memorial in Bushy Park. Looking north. 4th March 2008. A collection of huts were erected and that area of the park was designated by the US military forces as Camp Griffiss. The code name for the camp was WIDEWING. The camp was used post-war to house undernourished children. It was demolished in 1962. 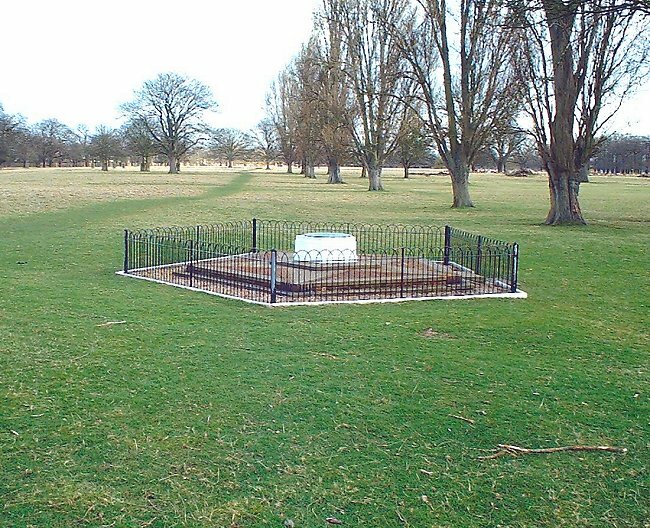 The memorial in Bushy Park. Looking east. 4th March 2008. "Our worst problems these days involve methods for removing underwater obstacles, production of Mulberries and all the other special equipment pertaining to artificial harbors, accuracy in weather predictions and perfection of methods for getting a completely coordinated assault - including airborne"
General Eisenhower to General Marshall. May 6, 1944. 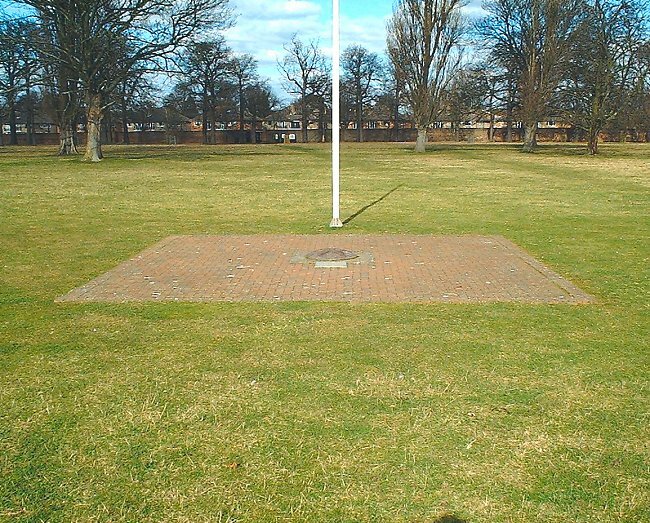 The memorial in Bushy Park. Looking south-west. 4th March 2008. "All of us realize that tremendous stakes are heaped upon the outcome of the impending operation but I am sure all, both British and American, are approaching the task with determination and confidence"
General Eisenhower to General Marshall. April 17, 1944. 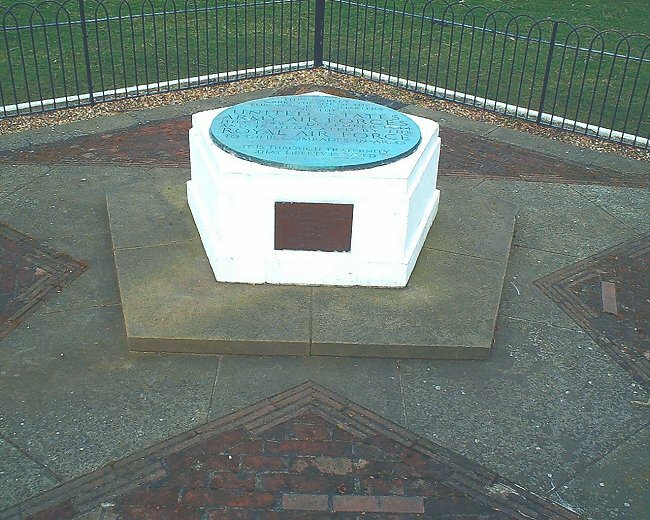 The centre of the memorial in Bushy Park. 4th March 2008. "As usual at this stage of preparation for an operation our problems are seemingly intricate and difficult beyond belief. Each day though, there is definite progress and I have not lost any of my confidence that we shall make a go of it"
Detail of the memorial in Bushy Park. The quotation in the last two lines is from Victor Hugo. 4th March 2008. 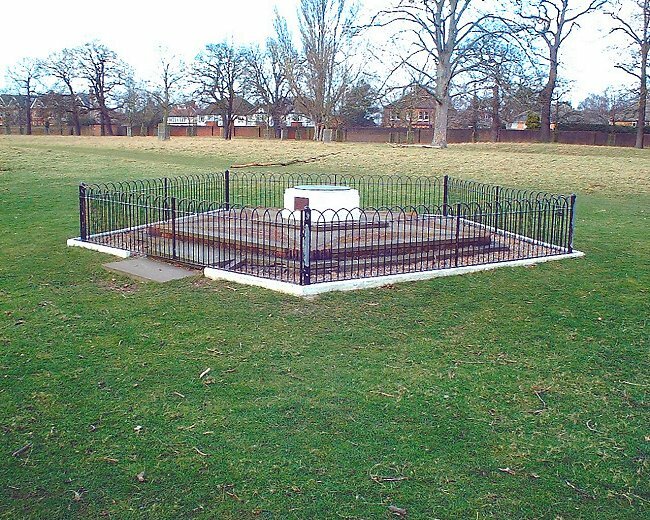 The memorial in Bushy Park. Looking north-west. 4th March 2008. "I have been quite busy inspecting troops and preliminary training, planning and preparation are going forward as rapidly as possible. 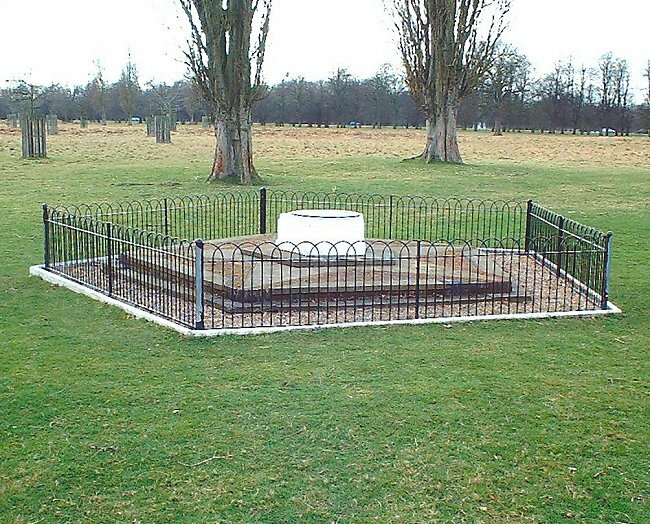 All the troops in both ground and air are in good heart"
The SHAEF memorial in Bushy Park. 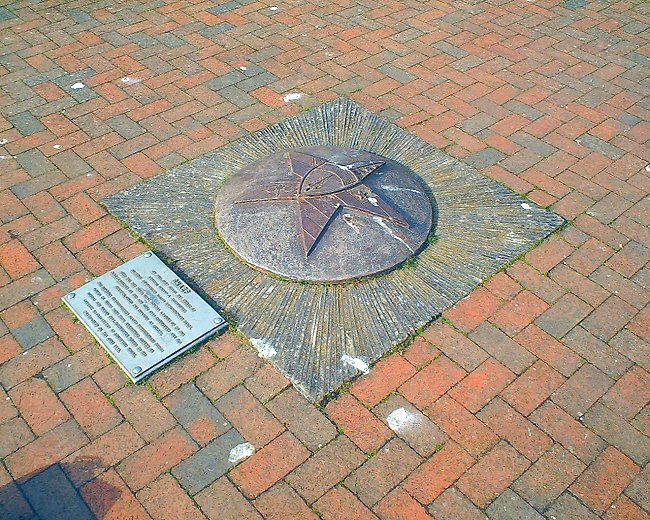 It was unveiled 30th May 1994. Photograph 4th March 2008. 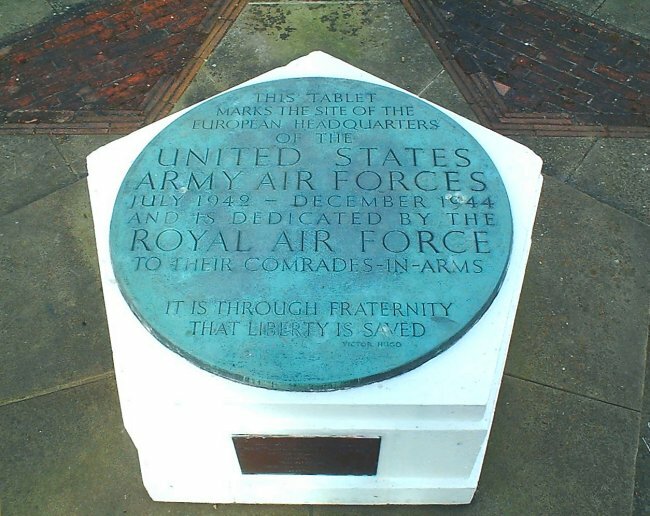 The SHAEF memorial plaque in Bushy Park. 4th March 2008. Supreme Commander Allied Expeditionary Forde. staff planned the invasion of Europe. 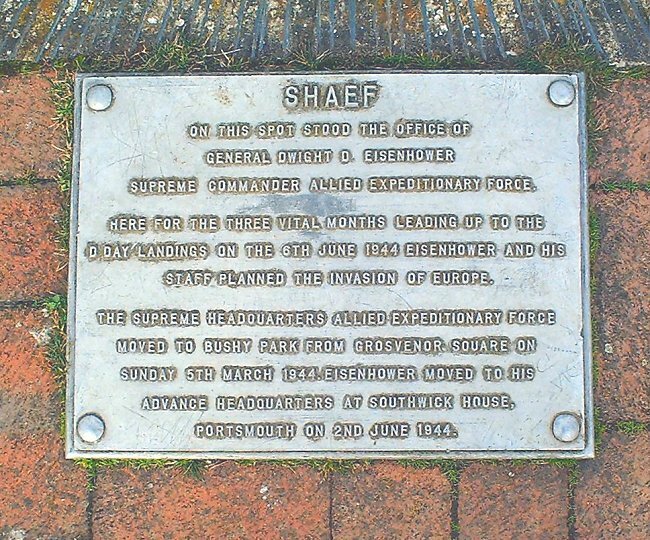 The SHAEF emblem and plaque. 4th March 2008. "I have gone over in detail the arrangements for marshalling and embarking our forces. I suppose McNarney has told you about these. In any event I consider them most efficient and have no fears on this score. Lee and his assistants have done a good job"
General Eisenhower to General Marshall. April 29, 1944. 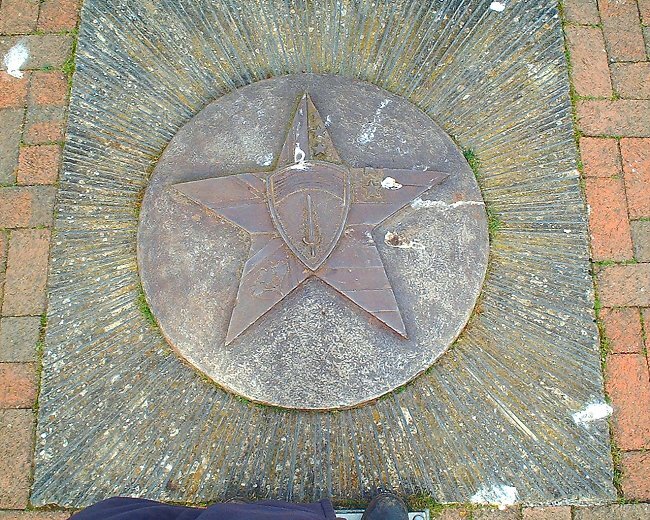 The SHAEF emblem at the centre of the memorial. 4th March 2008.